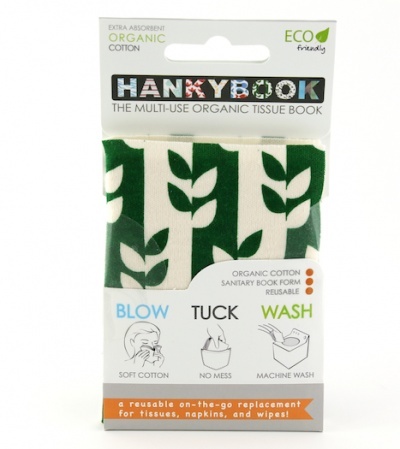 HankyBooks are handmade from 100% organic cotton knit fabric. 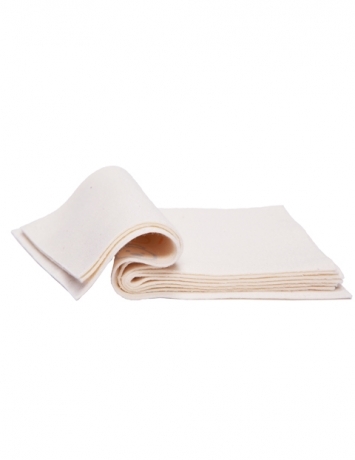 It has 8 absorbent folding pages which are bound together like a book. They have cute cover designs which you hold so your hands do not get dirty. Then closes so your pocket doesn't get dirty either, genius! This set comes with three Hankybooks, Green Vine, Birds and Pink Lotus. 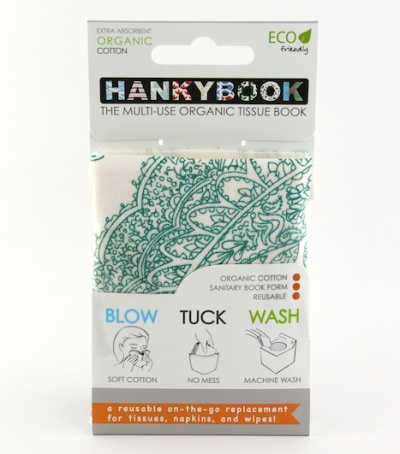 Generally, just take care of your HankyBook like you would a traditional handkerchief. 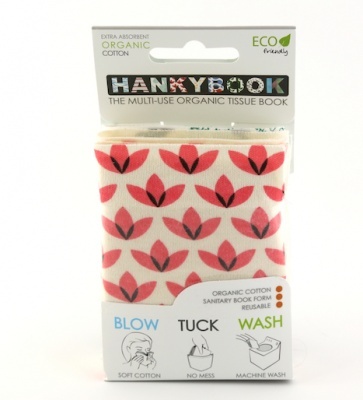 Each hankies has eight pages, meaning you will get many uses out of it before it's time to wash it. When it's time to wash just throw them in your machine with your clothes. No special tricks required.